I think this was one of the biggest anticipated releases of the year. 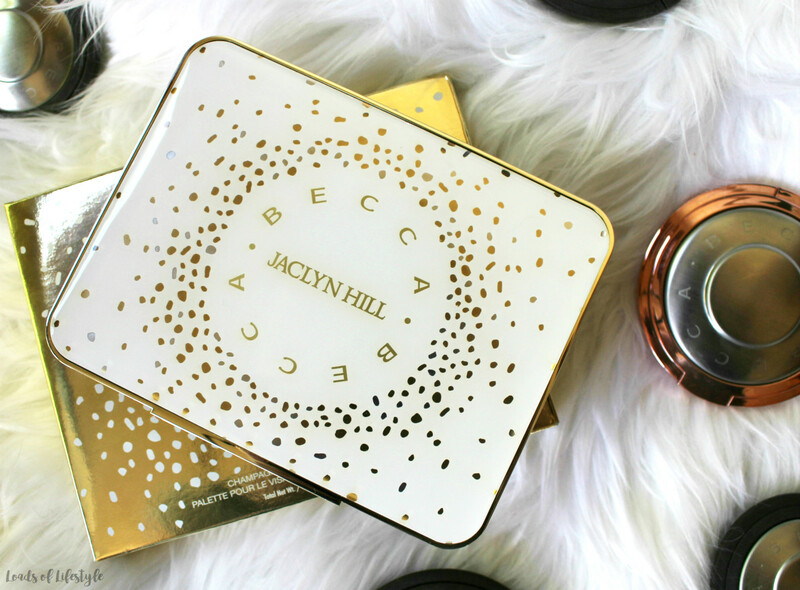 Super Beauty Youtuber - Jaclyn Hill, and the one of my absolute favourite cosmetic companies - BECCA - second collaboration and expansion of the cult favourite Champagne Pop. When this collection was announced, I tried to convince myself that I did not need another highlighter, let alone a duplicate of one I already own. Yet once it came to the release date.. Here I was putting into my cart and checking out! Once I received it, I knew I had made the right decision about purchasing it! 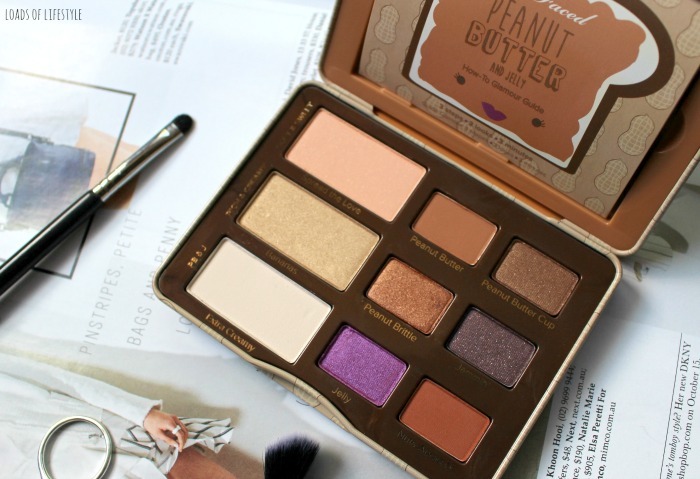 I think I actually bought it more for the blushes more than anything, I was dying to get my hands on Amaretto! (and this was before I knew BECCA were releasing the split-pan versions). 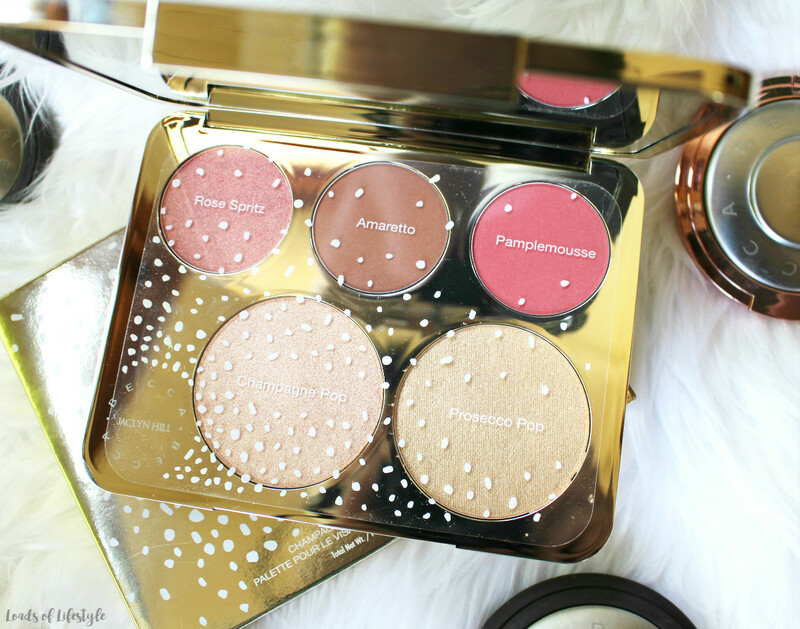 The palette contains 2 highlighters – Champagne Pop and Prosecco Pop (LE) and 3 blushes – Rose Spritz (LE), Amaretto (LE) and Pamplemousse (LE). Each highlighter contains 20g of product, with the mineral blushes (2) containing 3.4g and luminous blush (1) containing 2.8g. The packaging is durable and solid. The lid clicks into place and sometimes I even struggle to open it! I love that the lid stays open when in use and doesn’t put the balance off on the palette, unlike those normal packaging from BECCA where the lid is quite heavy and caused the compact to tip over unless the lid is positioned at the correct angle. Champagne Pop – a peachy-gold highlighter and the original in the Champagne Pop Collection. Originally a limited edition product, people were snapping up 2 & 3 back-ups of this so never to be without, however it has since been made a permanent item in the BECCA Shimmering Skin Perfector line-up. Prosecco Pop (LE) – a yellow-y gold highlighter and the “Little Sister” of Champagne Pop. I actually quite like this, maybe even more than Champagne Pop..
Rose Spritz – Luminous Formula (LE) – a bright pink with a warm golden frost. For those who haven’t tried the Luminous Blush by BECCA before, I feel they are designed to work as a bit of an all-in-one product, combining a blush and highlighter into one. Amaretto – Mineral formula (LE) – a medium rosy brown with warmish undertones. This is my favourite in the whole palette. 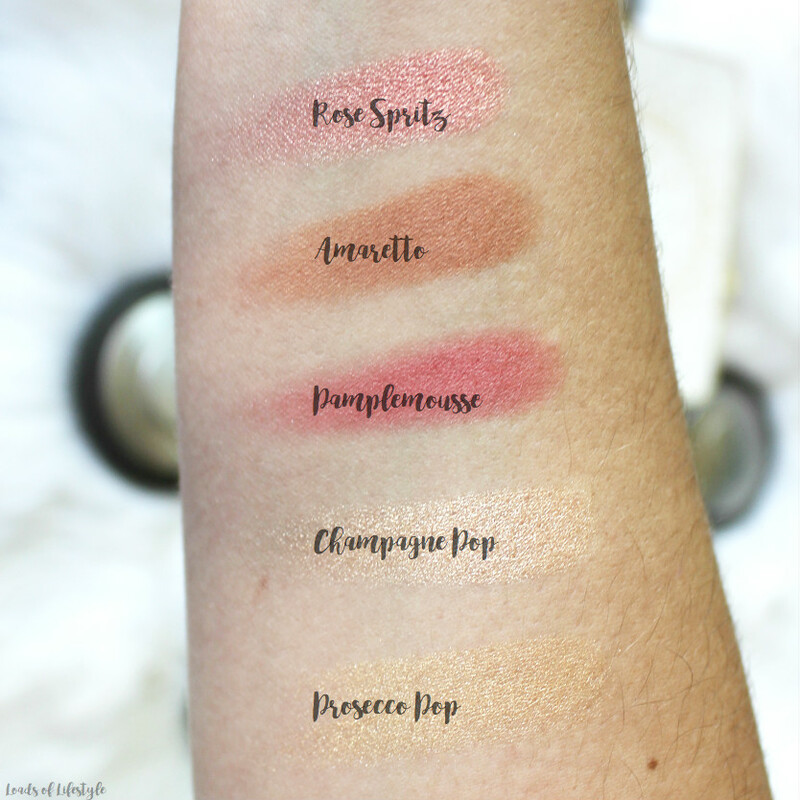 It is such a beautiful shade and it is totally unique in my blush collection. 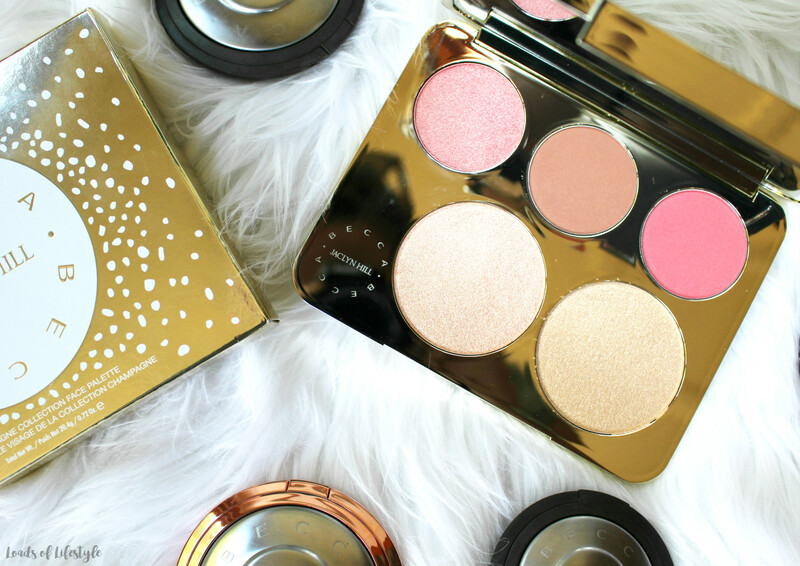 Did you pick up anything from the BECCA x Jaclyn Hill Champagne Pop collection? Or do you regret not grabbing this when you had the chance?! Love this review! I am obsessed with mine! Especially the blushes! I regret not picking it up but that was a bad money month for me :( I'm thinking it won't be the last collab we see with them. I am hoping to nab one of the split pans coming out soon though! PS loving your new theme on here!